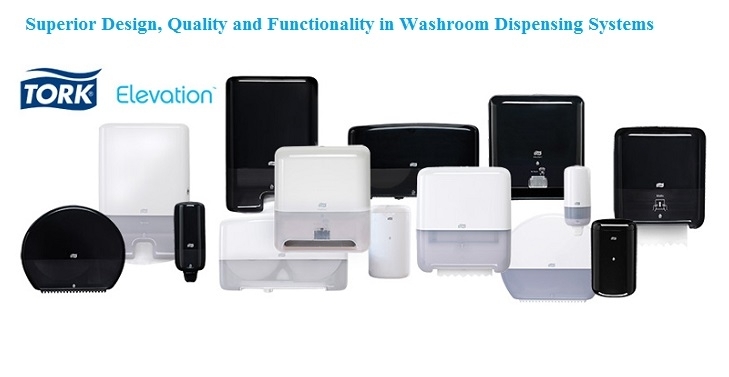 Paper Dispensers, every washroom either in the workplace or in public places requires some form of toilet paper dispensers or hand towel dispensers, today either toilet paper dispensers or hand towel dispensers are modern and elegant looking and will blend in and compliment any washroom environment and decor. We supply toilet paper dispensers and hand towel dispensers with great brand names such as the Tork® Smart One Toilet Tissue Dispensers, the Tork® Express Hand Towel Dispensers, the Tork® Reflex With Blue Paper And FREE dispensers all in a variety of colours to suit your washroom or toilet decor. Our toilet paper dispensers and hand towel dispensers promote hygiene that involves minimal touch so you can be guaranteed of great personal hygiene. Please feel free to browse our toilet paper dispensers and hand towel dispensers and we are sure you will find some great offers on our dispensers including FREE toilet paper dispensers and FREE hand towel dispensers too.